Known for his part in Glasgow’s DJ duo Optimo and the production partnership Naum Gabo (Speicher / Kompakt Extra), J.G. Wilkes is a music producer with a catalogue that has been building since the turn of the century. The ‘Jaxon’ EP is his first widely available solo 12” release containing four cuts exploring the ethereal boundaries of electronica. Taken from a limited edition mini album box set entitled ‘German Pizza Party’ (VF111), J.G. 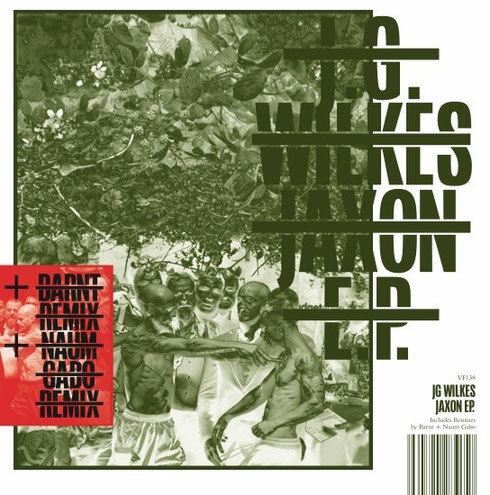 Wilkes’ ‘Jaxon’ is the only track from that collection aimed anywhere near a dancefloor, in which rich and potent rhythms collide with foreboding frequencies. Cologne’s Barnt isn’t afraid to let the elegance of space and chaos into his heartfelt rework, solidly cementing the Koln-Glasgow freundschaft. The EP features two further productions from Wilkes; the melancholic, beatless and occasionally ruthless ‘Bathing Beauty’ in its original form and ‘Useful Tool’, given a turbulent rework by Naum Gabo.